After publishing about the upcoming introduction of the Garmin vívovit last January we were happy to receive the device for in-depth testing, and tried it it out for three weeks. 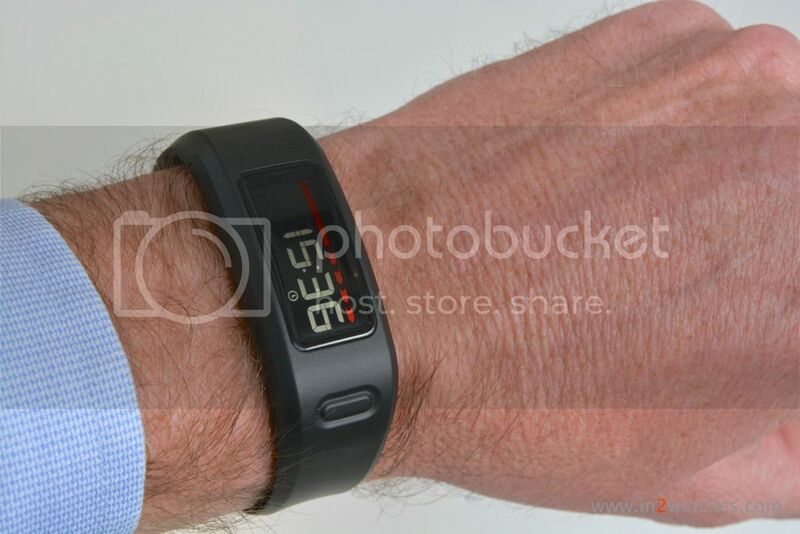 So the vívofit, is it a watch? Yes, you could use it as a digital watch indeed; it is able to permanently show the time and with a rubber-button-push even the date and month appear in the display (which after 2 seconds returns to the time). Very much a regular digital watch in a nice design and with an attractive clearly readable display. However while using it as a watch, you’ll soon find out that the vívofit doubles as an activity meter, or fitness band as Garmin tends to name it, as well. 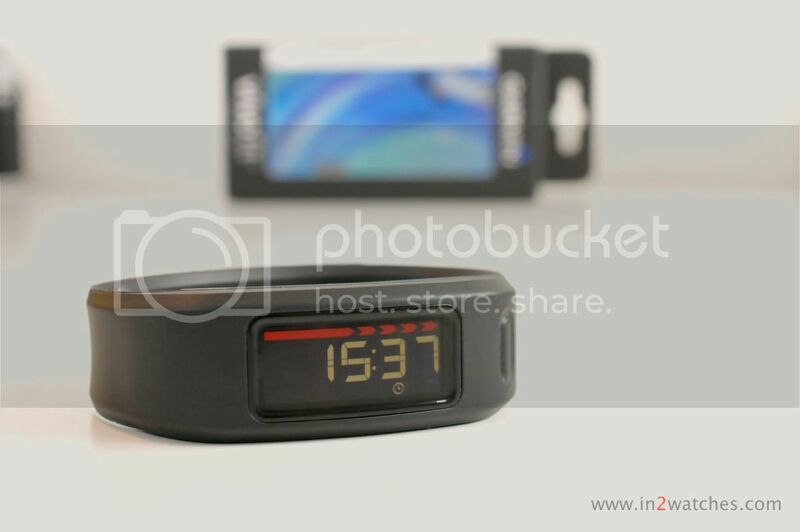 Besides indicating the time and date, the band collects information about how many steps you made during the day, approximately how many miles or km’s you walked, and how many calories you burned. As well it sets a goal for you to reach every day, and it’ll tell you when it’s time to move. This is indicated by a red gauge filling up on top of the display if you don’t move enough after a certain time of inactivity. Although it’s better for you if it doesn’t fill up, it looks nice if it does. Even at night – indeed you should wear it at night as well; my girlfriend didn’t like that too much – the vívifit registers your activity, and sleep. And the nice thing is that all the above gathered information can be synchronized with your personal on-line Garmin Connect center. Here you’ll see beautiful statistics and clear summaries of how your activity was during a certain period of time, and if it was enough, as well as how long you have been asleep and when you were restless. If you’re not wearing a watch, or if you want to use the Garmin vívofit as your watch, it’s a wonderful device to have. 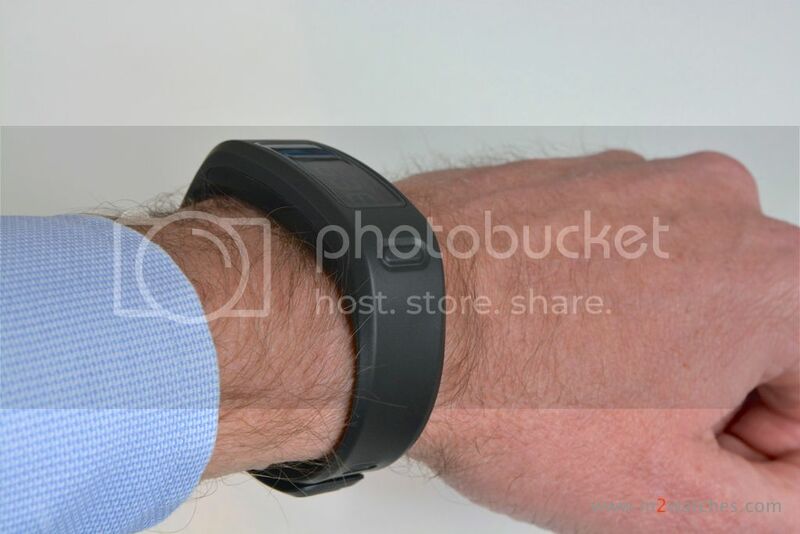 Available in many colors, and standard delivered with two sizes of band, which makes it suitable for almost anyone. The information as an activity meter is informative, however after a few weeks of using I felt that my interest for that diminished a bit. 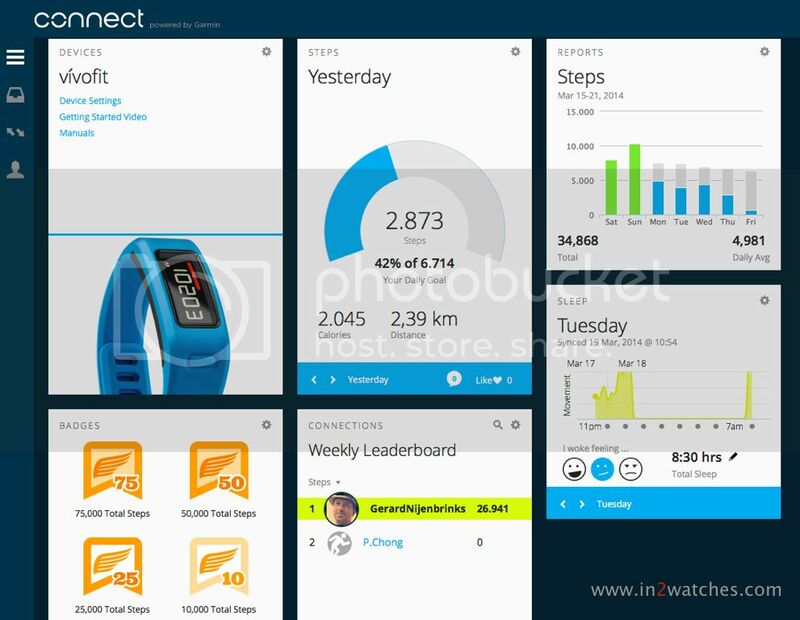 If you’re wearing a watch and want to use the vívofit solely as an activity meter next to your watch (f.i. on your other wrist like I did), the quite prominent display of the band might just be a bit too much to make you wear it every day. There are other activity meters with are less notable. 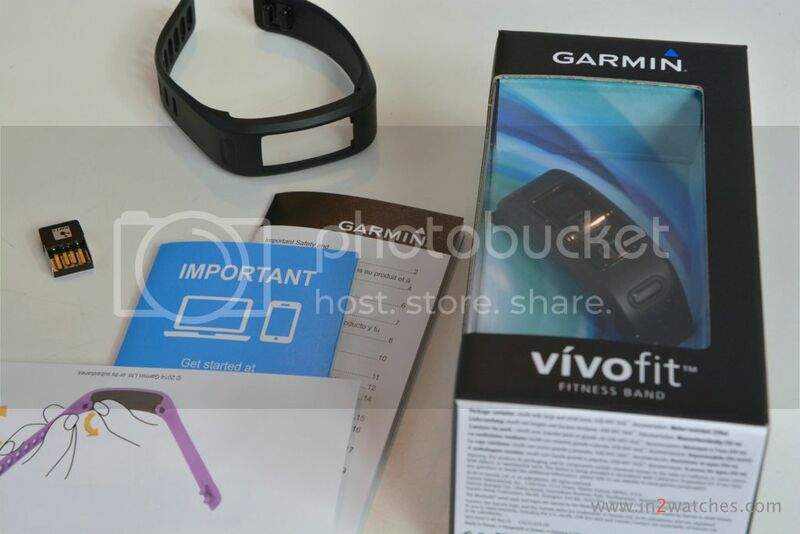 The price of the Garmin vívofit in Europe is € 119,= (including VAT) and it can be bought through the Garmin on-line shop, as well as through Garmin retailers in your area. This entry was posted on April 5, 2014 at 08:30 and is filed under #womw, all, front page, news, opinions. You can follow any responses to this entry through the RSS 2.0 feed.